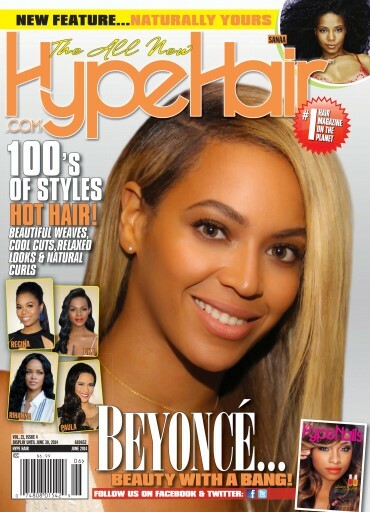 June is Black Music Month and Hype Hair is thrilled to showcase one of the top music icons in the industry in its latest issue. Though known for her trademark full, voluminous hair, she effortlessly pulls off every hairstyle brilliantly – from flowing platinum blond tresses to curly, caramel-highlighted tendrils. The issue also features celebrity profiles on Atlanta housewife Cynthia Bailey, songstress Sevyn Streeter and the ladies of “Married to Medicine,” including Toya Bush-Harris, Mariah Huq, Dr. Jacqueline Walters, Quad Webb-Lunceford, Dr. Simone Whitmore, Lisa Nicole Cloud and Dr. Heavenly Kimes. And, of course, you’ll get your regular dose of hot hair styles, special nails and natural hair sections, beauty giveaways and how-to’s.